When you ask Filipinos about their history, you either learn a bit about the very recent history, going back to maybe José Rizal or maybe to Ferdinand Marcos. But more often you hear stories about "Kaiba-an", "Balang" and "Aswang", ghosts, phantoms and witches. If you look for more scientific sources, you have to read lots of very thick books. But we found Wolfgang Bethge's website "Literaturbrücke Philippinen" in which the history of the Philippines can be found in form of 3 chronological tables. We thank Wolfgang Bethge for his excellent work and are grateful that he allows us to use his history tables. The 3 chronological tables are: First, from prehistoric era to the end of the Spanish colony. Second, from the beginning of the American colony to the end of the second world war. And third, from 1945 up to now. - 50 000 BC Manufacture of stone tools in the Tablon Cave in Palawan. A skull finding is dated about 30 000 BC. - 40 000 BC Australoids (ancestors of today's Negritos) begin to immigrate to the Asian continent on the remaining land bridges (not proven). They are collectors and hunters (archers), have stone tools, and live mostly in caves. 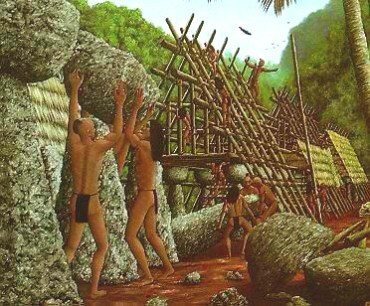 - 7.000 - 5000 BC First waves of immigration of "Malays" which originally came from southern China. 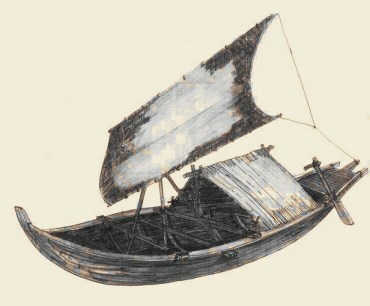 They come in boats ("barangays" or "balangays") from Taiwan, Vietnam, Malaysia and Indonesia. They control fire, the manufacture clothing made of bark and animal skins, pottery and cultivate rice. - 3000 - 1000 BC Immigration of old Malay and other tribes. They are the ancestors of today's Ifugao, Bontocs and Mangyans. They know the cultivation of dry rice and manufacture of glass. 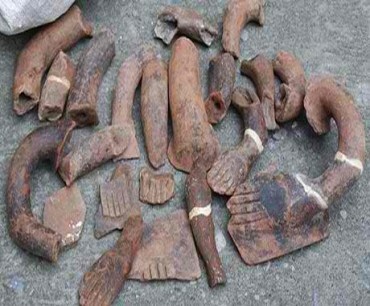 They lived in huts on stielts and made tools of copper, bronze and iron. Animism, shamanism and a pronounced death cult to determine the religious life. - from 200 BC Immigration of young Malay tribes from today's Indonesia. 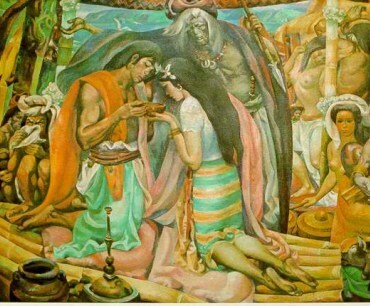 They are the ancestors of the vast majority of today's Filipinos. They are known for their wood carvings and jewelry making. - 0 BC Start of construction of the rice terraces with sophisticated irrigation technology in and around Banaue, the "Eighth Wonder of the World"
- 1000 Begin of trade with Chinese porcelain. Chinese traders set up bases in the Philippines. - 1200 - 1300 Wave of immigrants from Borneo. Islam reaches the southern Philippines. 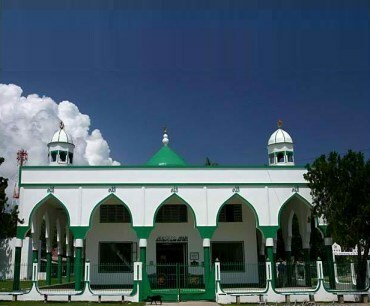 - 1240 Islamic missionaries in Sulu. Relatively peaceful mission among the tribes in the southern Philippines because islamic missionaries widely tolerate the traditions of the indigenous tribes . - 1494 By the Treaty of Tordesillas, Pope Alexander VI. divides the world between the two competing maritime powers Portugal and Spain. 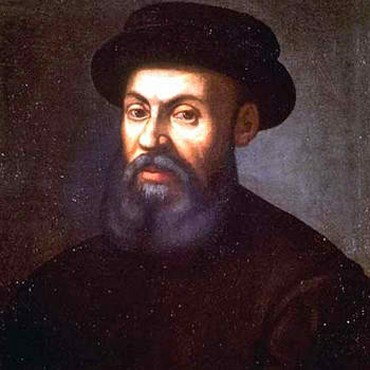 March 16 1521 Ferdinand Magellan lands with three ships ("Conception", "Trinidad" and "Victoria") on the small island of Homohon (east of Samar). April 27 1521 Magellan dies in battle of Mactan island against the later national hero - chieftain Lapu-Lapu. - 1569 Beginning of the Galleon's trade (1569 - 1815) between China and Mexico. Manila is the hub of this trade of Mexican silver coins and Chinese silk, porcelain objects, pearls and spices. June 24 1571 Manila is proclaimed capital of the Philippines. Intramuros is the fortified part of town. 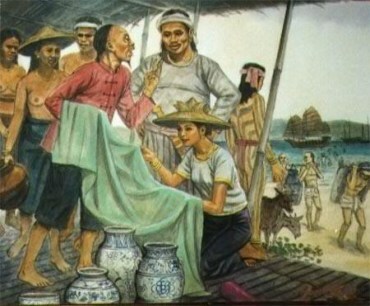 - 1574 The Chinese pirate Limahong attacks Manila twice, until he is defeated. - 1574 Lakandula initiates first short-term revolt against the Spanish. - 1590 The Jesuits found the Colegeo de Manila, later called the "Universidad de San Ignacio"
- 1622 Several revolts against the forced levy in Bohol, Leyte, Samar and Panay. Francisco Dagohoy is the leader of the revolt in Bohol which lasts over 85 years (1744-1829). September 22 1762 6800 British soldiers with 13 ships attack Manila and takes it. - 1762 In the province of Ilocos a revolt starts under Diego Silang because of the compulsory levy. The uprising is initially successful. The "independent and free Ilocos" is proclaimed. Silang is killed a year later by a former friend. His wife continues the fight, but is defeated and hanged along with other companions in 1763. - 1763 Treaty of Paris ends the British occupation of parts of the Philippines (1764). - 1774 Filipinos may become priests. - 1787 Moro pirates plunder Bacolod on Negros Island. The attack on Bacolod is only a representative for many others. Until the first half of the 19th Century, Moro pirates attack villages in southern Luzon and the Visayas. January 22 1809 The Philippines become an integral part of Spain and Filipinos are given the Spanish nationality and a right of representation in the Spanish Parliament (1810-1837). Iin 1812, the liberal Cadiz constitution is adopted. Napoleon cancels this integration in 1816. - 1828 Strong earthquake which destroys buildings and churches in Manila. - 1835 The first Philippine bank is established. June 19 1861 José Rizal is born in Calamba (Laguna Province). 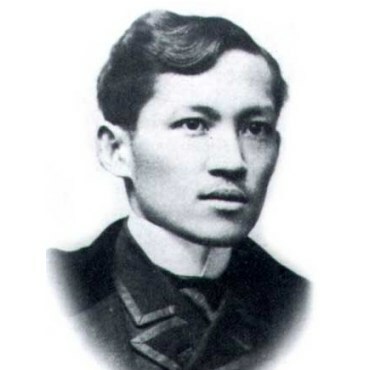 Rizal studied medicine, philosophy and literature at the Ateneo de Manila and the University of Santo Tomas in Manila. - 1863 Reform of the education system. It allows now the Filipinos higher school qualifications. Wealthier families can finance studies in Spain. A numerically small, liberal-minded, educated middle class developes slowly. Also a small elite group of "Illustrados" is established. - 1863 A powerful earthquake destroys most of the buildings in Manila (except the San Augustin church). - 1869 The opening of the Suez Canal allows permanent maritime links between the Philippines and Spain. - 1873 The German ethnologist Feodor Jagor published his book "Travels in the Philippines"
- 1887 Rizal's novel "Noli me tangere" is published in Madrid. July 3 1892 José Rizal founds the politically moderate, but anti-clerical "Liga Filipina". Andreas Bonifacio joins this elite league. July 7 1892 Rizal is arrested because of the creation of the "Liga Filipina. Without any court ruling he is sent in exile to Dapitan. July 8 1892 Bonifacio founds the secret society Katipunan. The covenant is based nationalist ideas and wants an to end the Spanish oppression. Unlike Rizal, the Katipunan accepts also the use of force. August 19 1892 The Katipunan-conspiracy is uncovered. Individual members are arrested, , however, most of them can take refuge in the hills of Balintawak. August 23 1896 Bonifacio anounces the Revolution ("Cry of Balintawak"). The followers burn their Spanish identity papers. August 30 1896 The outcry of the Katipunan spread across eight provinces. The Spanish general governor declares the state of war. September 2 1896 Rizal is falsely accused of having been the founder of the Katipunan. April 29 1897 Aguinaldo is elected President of the Katipunan. Bonifacio is elected minister of war. Bonifacio does not accept Aguinaldo position. May 8 1897 The Katipunero leaders accuse Bonifacio of sedition and treason and sentence him to death. December 14 1897 Because of the Spanish supremacy, Aguinaldo decides to negotiate with the Spaniards. In the pact of" Biak-na-Bato" the Katipuneros are commited to lay down their weapons if the Spanish authorities carry out reforms and respect the human rights. For a fee of 800,000 pesos, Aguinaldo agrees, to leave the Philippines with his companions for exile in Hong Kong. February 8 1898 The U.S. government asks Aguinaldo for support them in their struggle against the Spanish government. Aguinaldo agrees, because the Americans promise the independence of the Philippines for the help in the fight against Spain. February 12 1898 The United States of America declare war to Spain. June 12 1898 The Philippine's independency from Spain is proclaimed in Kawit, Cavite. Manila is still held by Spanish troops. The new Philippine flag is hoisted and the new national anthem being played. Tthe first Philippine Republic is born. June 23 1898 On the advice of Apolinario Mabini, the "dictatorial" government is converted in a "revolutionary" one, the "Malolos Republic". July 17 1898 The Americans, under General Wesley Merritt E. strengthen their military presence in the Philippines. Their attitude towards Filipinos changes and becomes worse. December 10 1898 In the Treaty of Paris, Spain sells the former Philippine colony for 20 million dollars to the Americans. This is the end of the Spanish colonial period of 333 years. 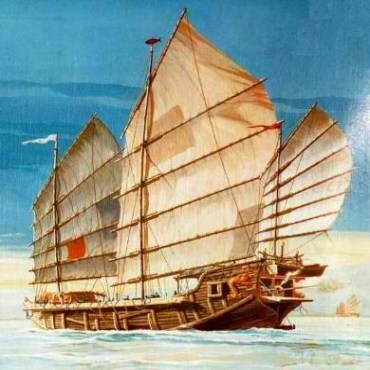 This kind of junks were adopted by pirates as Limahong.